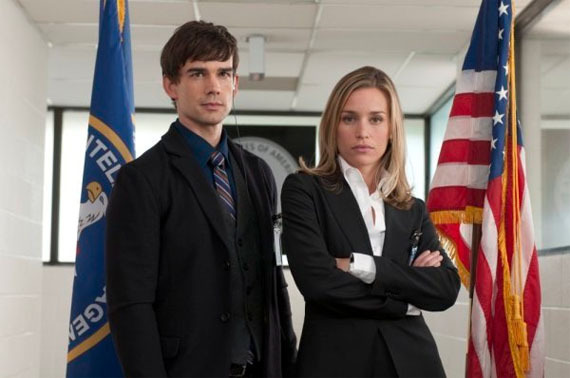 USA’s new show Covert Affairs looks poised to be another hit for the cable network. Filled with action and intrigue, the pilot certainly lived up to its exciting commercials. New jobs are tough — especially when your new employer is the CIA. Annie Walker (Piper Perabo) is fluent in six languages, has traveled the world and is besting her fellow CIA trainees in every test. But that doesn’t explain why she’s suddenly summoned by CIA headquarters to report for active duty as a field operative one month before her training is over. She doesn’t know there may be something — or someone — from her past that her CIA bosses are really after. If you’ve ever been a fan of any other spy show, check this one out because it’s probably right up your alley! It airs Tuesdays at 10/9c on USA. I am sure they will put the pilot online so get caught up before next week.